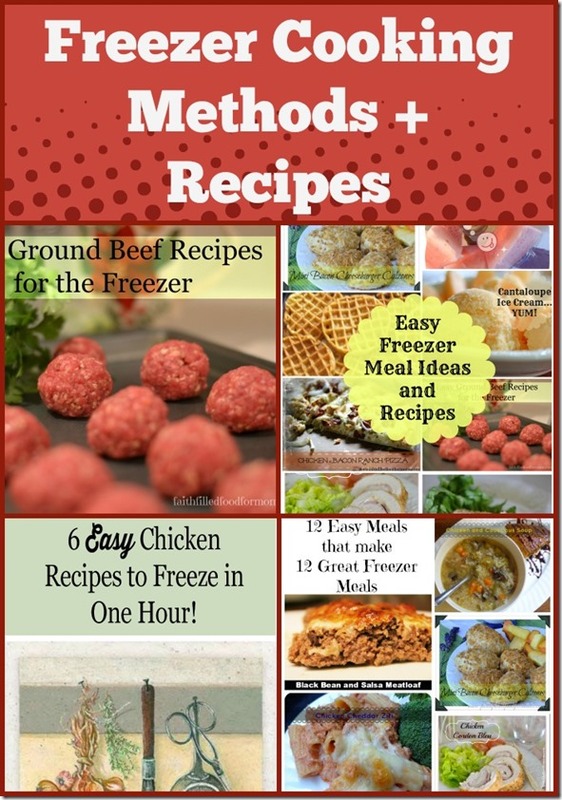 I like to start my week or month out right with these 17 Quick Easy Ground Beef recipes for the freezer. 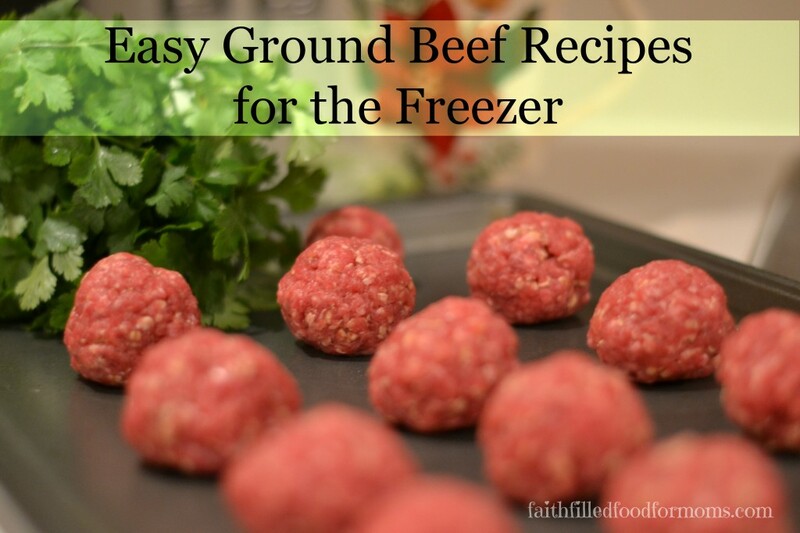 I’ll show you how I make my life easier with quick ground beef recipes. First, I buy Ground Beef in bulk and then fry up big batch’s in several pans before I freeze. Don’t forget to rinse Beef in a strainer to get any grease off after frying and browning. 7 I also make homemade hamburger patties and freeze them too! BIG money and time saver! 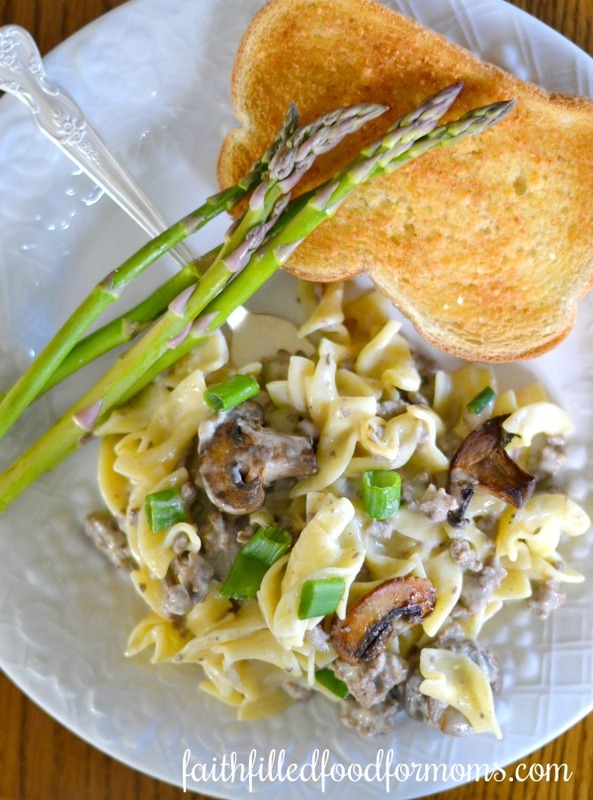 This is a super easy recipe and the Stroganoff can be made ahead of time and frozen then you simply serve over noodles or rice! I LOVE to make recipes out of Frozen Hamburger Patties! Such an easy way to use up Ground Beef Patties with few ingredients. Cheesy Sauce Burgers in the oven! 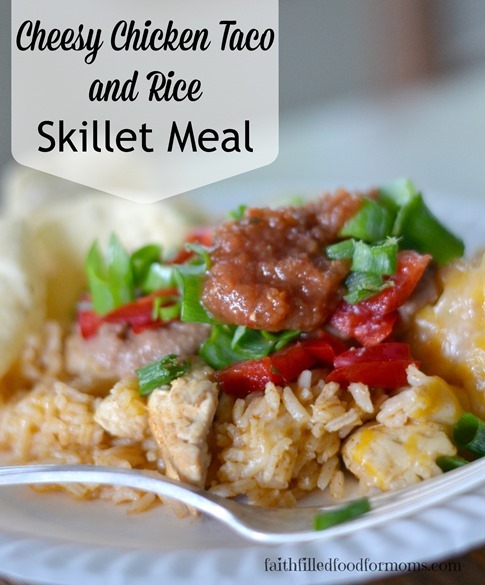 Use Ground Beef in place of chicken and make Cheesy Chicken Taco and Rice Skillet Meal! It’s super yummy and because your taco meat is made ahead it will only take minutes!! 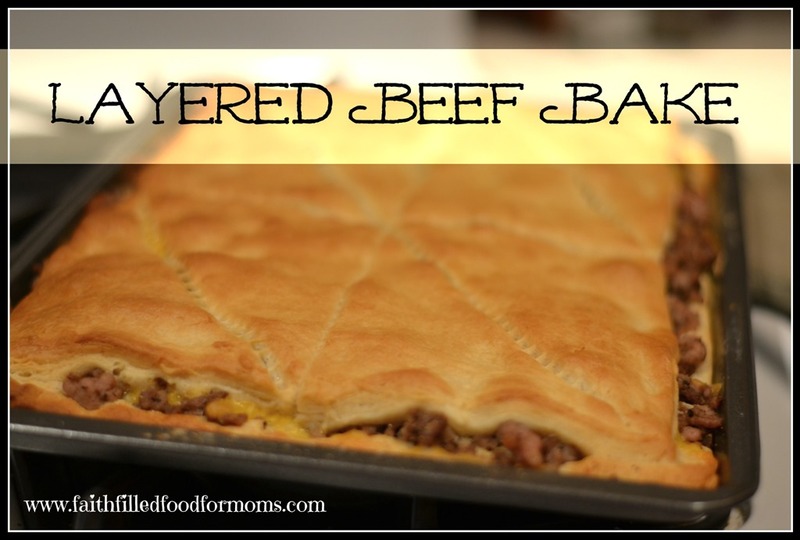 When you’ve got ground already cooked and frozen, recipes like this Layered Beef Bake are ready in a snap! Literally! My hubby loves meat on his Pizza. So when I make Pizza I have cooked Ground Beef all ready to roll. Mix all ingredients together. Make into 1 inch balls. Put onto cookie sheets and cook in oven for about 10 minutes at 350 degrees. Remove meatballs to another cookie sheet and flash freeze. Divide into dinner portions and put into freezer bags. Heat butter, add onion. Cook on low, Stirring for about 5 min or until onion is clear but not browned. Blend in flour. Gradually stir in beef broth. Cook, stirring until thickened. Stir in sour cream, dill weed, salt & pepper. Add meatballs. Heat to serving temp or cool and reheat later. Serve over noodles. Serves 6 to 8. Or 20 appetizer servings. Drain the pineapple chunks, reserving 3/4 cup of juice (if there is not enough, add water to make 3/4 C) Combine juice, additional 1/2 cup water, vinegar, soy sauce, brown sugar and cornstarch in a medium saucepan and stir until sugar and cornstarch dissolve. Cook over low heat until thick and bubbling, stirring constantly. Add green peppers, shredded carrots, meatballs, water chestnuts and 1 Cup of pineapple chunks. Heat until meatball are hot, stirring frequently. Serve with rice. These Mini Cheesy Stuffed BBQ Meatloaves are so deelish and are made in the Crockpot! You can make them ahead and freeze for later! Thaw beef. Put into a pan with Store bought Spaghetti Sauce. (or homemade spaghetti sauce) Serve over noodles. Of course you can always use the meatballs from the recipe below to make spaghetti and meatballs. 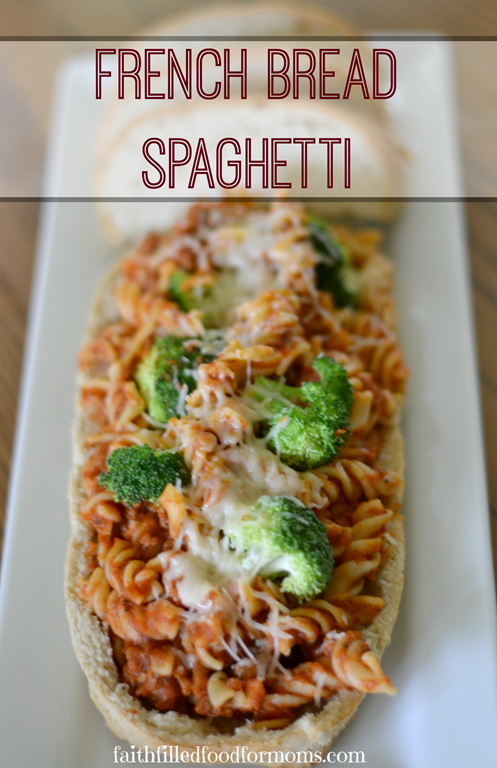 You can be creative with your Spaghetti too like this French Bread Spaghetti! I also make homemade hamburger patties and freeze them too! BIG money and time saver! What is your favorite way to use ground beef? Make into 1 inch balls. Cook in oven for about 10 minutes at 350 degrees. Remove meatballs to another cookie sheet and flash freeze. 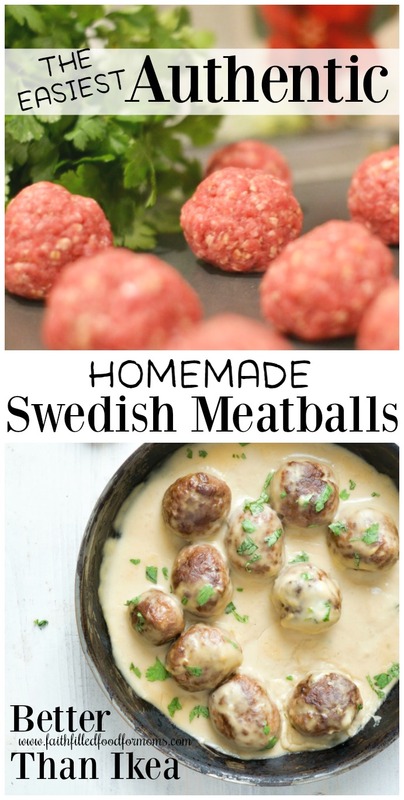 Be sure and check out the different sauces to go with these Meatballs...YUM! 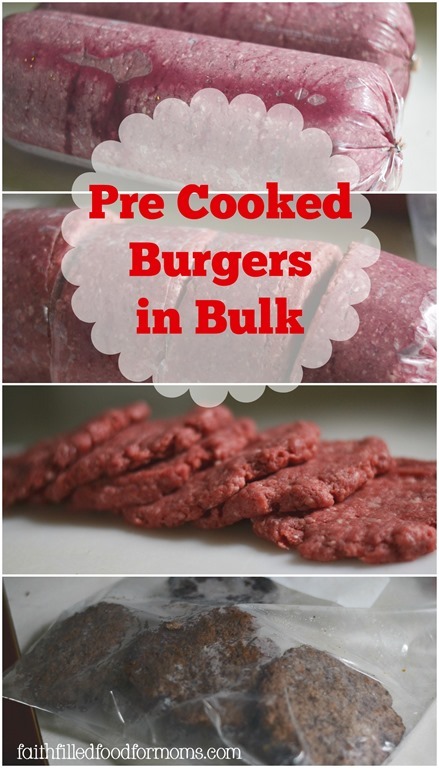 Make these Pre Cooked Hamburger Patties and Freeze for Later! Great for a quick dinner or for kids to prep themselves, since you need only to pop into the microwave for a minute! I like to make hamburgers or tator tot hotdish, of course tacos are also a favorites. It’s just fun to mix it up! Hi Rachael! That’s funny you mention Hamburgers..of course I forgot to add that in..I like to make up patties ahead of time. Tator Tot Hot dish is great too..my fam loves that one. I’ve never froze though..have you? Thanks for stopping by! Blessings to you! These recipes are great. I love the sweet and sour meatballs. I have a big pack of ground beef, so I am going to try these today for my husband – he will love them. Thanks for sharing the recipes. Hi Carrie! I’m so glad you like them and that they are something your family will use..it’s always nice to have a few things in the freezer for those busy days 🙂 thanks for stopping by! Blessings! We freeze lots of meat here. I love these tips! I’m so glad you like them Kristen! Blessings and thanks for stopping by! Wonderful ideals and several items I did not know how to make and so this is going to help me out a lot Thanks for posting it. I’m so glad this was helpful Glenda! and thanks for stopping by! Blessings! Meat pies of course. I love finding new recipes, thanks for sharing with us. Found you at https://www.cyberconnect.ning.com.. Following your blog via facebook and i hope to see you around. Have a great week.. Thanks MayMay! Meat Pies..love that idea..I’ve made a couple of different kinds before and love them! See you around 🙂 Blessings! thanks for the recipes and ideas!!! I have chill in the crockpot now!! Your welcome! Mmmm chili sounds deelish! Thanks for stopping by! Blessings! Thanks for these recipes. I’ve never tried Swedish meatballs, but I love ground beef with gravy. And that is my favorite. Ground beef with cornstarch gravy over warm noodles. Hey there DM..had fun chattin today 🙂 Yes I love it with gravy too! The last little recipe is like the one you suggest only with flour instead of cornstarch..but both are deelish 🙂 Thanks for stopping! I love making stroganaff for my family! It is super easy and my little sister can even come into the kitchen and help! My blog is full of tons of kid friendly recipes! Mmmm Stroganaff is so good isn’t it Thomas! I’ll have to hop on over and visit your blog..it sounds fun AND deelish! Thanks for stopping by! Hi Dawn! Yes the sweet and sour meatballs are great..Mmmm Shepherds Pie is deeelish..so easy to make. I’m sure yours is great. I love to experiment too! I’ve come up with some of my family’s favorites that way 🙂 Thanks so much for stopping by! I do the exact some thing but you’ve given me a few new ideas as to what to make with my freezer beef! These recipes look delicious Sheri! 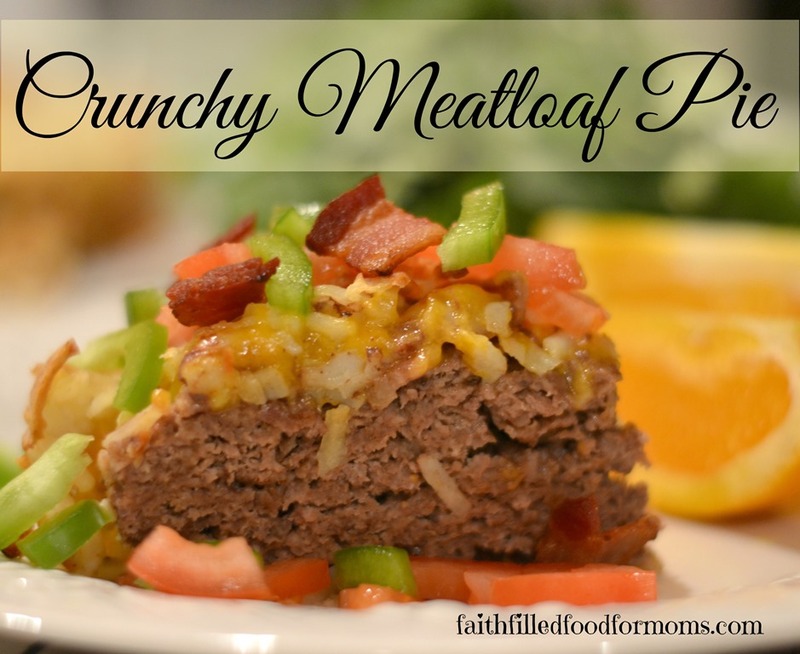 What a thrifty way to use ground beef! Pinning this since it has great ideas for dinner! 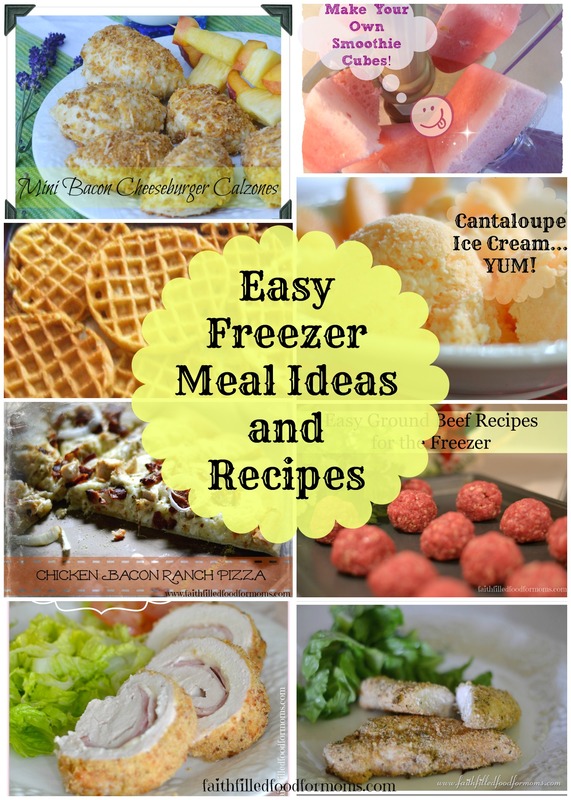 I love that you have all of these great recipes and ideas in one place! I freeze a lot of things so this is a great resource for me. Thank you! I want to be able to pull out things in the morning for my kids to have dinner in the evening — trying to make it as easy on my husband as I can. What a great variety of recipes with one main ingredient! I love it! I’m featuring you on Makeovers & Motherhood’s Welcome Party Wednesday Link-Up this week! I love buying ground beef in bulk! You have so many great tips that I can use! Love your list. Sometimes I get stuck in a rut with ground beef. The recipes are great. Thanks! I do the plain meat and taco meat already. I also have sometimes made meatloaf and frozen it, uncooked. Awesome Cathy! I’m glad there were a few recipes you could try..I need to add some more “exciting” recipes to that menu list! Thank you for stopping by and have a blessed week! I love having all these recipes come from freezing ground beef. Stop saying “unthaw”….it is an illogical, double negative and makes you sound silly!! What is NOT silly however is your list of wonderful recipes. I am making frozen meals for a VERY soon mother-to-be and her husband, and am going to use many of yours! Thanks. HA! Thank you Vee! You are right totally illogical…I’ll change it for sure. I appreciate you bringing that to my attention. Thank you for stopping by! Blessings! These are great ideas. Pinning your post now. Found you on growing handson ids link up. Thank you for sharing this amazing list at the Home Matters Party. I will be saving this to reference this Sunday for my weekly cooking!